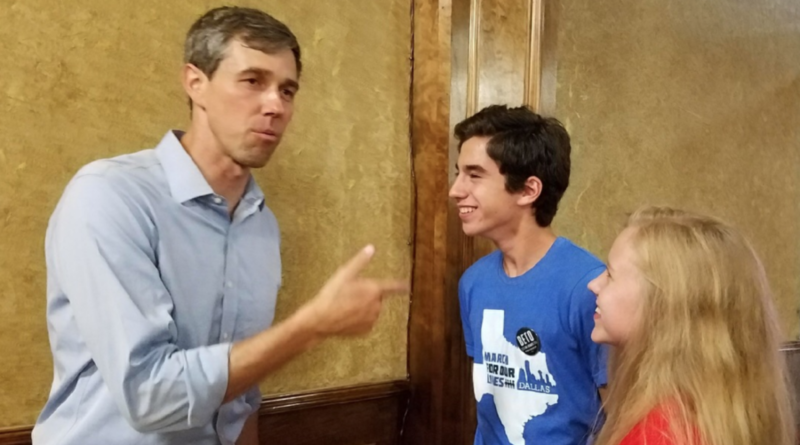 The Sidekick staff writers Nicolas Reyes and Charlotte Vanyo speak with Congressman and Democratic Senator nominee Beto O'Rourke during a rally on June 10 in Mesquite, TX. O'Rourke recently lost the campaign to incumbent Ted Cruz. My name is Nicolas Reyes. I am constantly blasting my country music playlist, I drive a Honda minivan and I am too young to be cynical. I have grown up with vallenato (a style of Colombian folk music) playing in the kitchen and country music in the car. My music taste shows that I am very much a Colombian, but I am just as much a Texan. I was born and raised in Texas. I have “y’all” just as engraved into my vocabulary as anyone else, and I have travelled to every corner of the state. I have traversed Texas through a series of family road trips in the minivan, the grey Honda you can spot time after time in any carpool line. What might set it apart is the bumper adorned with a “Beto for Texas” sticker. But more importantly, its odometer shows a number abnormally high. A number telling the tale of all the counties my family has visited and the individuals we have met along the way – just like Beto O’Rourke. I went door-to-door campaigning for O’Rourke. My backpack has two identical campaign pins and I have a yard sign and t-shirt to match them. I was committed to the campaign and the loss crushed me. O’Rourke represents the Texas I envision: a state that celebrates diversity, a state that believes in the value of united families and is appalled by the caging of humans, a state that cares for the health of its people and a state committed to a better America regardless of political affiliations. Robert O’Rourke was deemed to be more of a “Beto” as he grew up around the sound of norteños (a genre of Mexican music). He grew to represent the diversity-promoting aspect of Texas. Sixty-four percent of Latinos voted for him and he has helped prove that the Latinos in Texas are shifting more Democratic with each election. Beto faired almost 200 percent better with minorities than Cruz. Beto traversed all 254 counties of Texas in his car with an odometer that shows a number abnormally high so that he could connect with every Texan, so that he could show us we are not all so different. Almost half of a state that had not voted for a Democratic senator in 30 years voted for him. 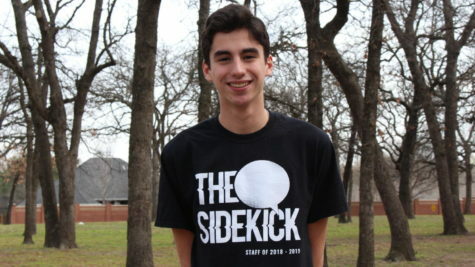 During his journey he went university to university so he could rack up the votes of 71 percent of Texans between the age of 18 and 29. Not to mention that he also won the vote of 30-44 year olds. Beto O’Rourke represents the progressive Texas many of us yearn for, and he is anything but cynical after his loss. His motivation is contagious. The polls tell us that young people have been spurred forward, including students at Coppell High School. Whether he will decide to run for Senate again or launch himself into the running for president is an anticipated question. However, what is certain is that young people in this state are yearning for a candidate that will protect Texans from sickness and debt, unjust incarceration, high school “loners” with their father’s guns and the gruesome rhetoric of polarized politics. Young people in Texas are too young to give up and I know change will come. Whether change will be in the form of O’Rourke or another candidate is yet to be decided. What is sure is that we are a force to be reckoned with, and O’Rourke is only 46 years old. Our name is Youth. We are constantly blasted for things such as eating avocado toast and ruining random business sectors, we drive this nation’s future and we are too young to be cynical. I love this story and I wish there was a way I could give it a like. Good job.